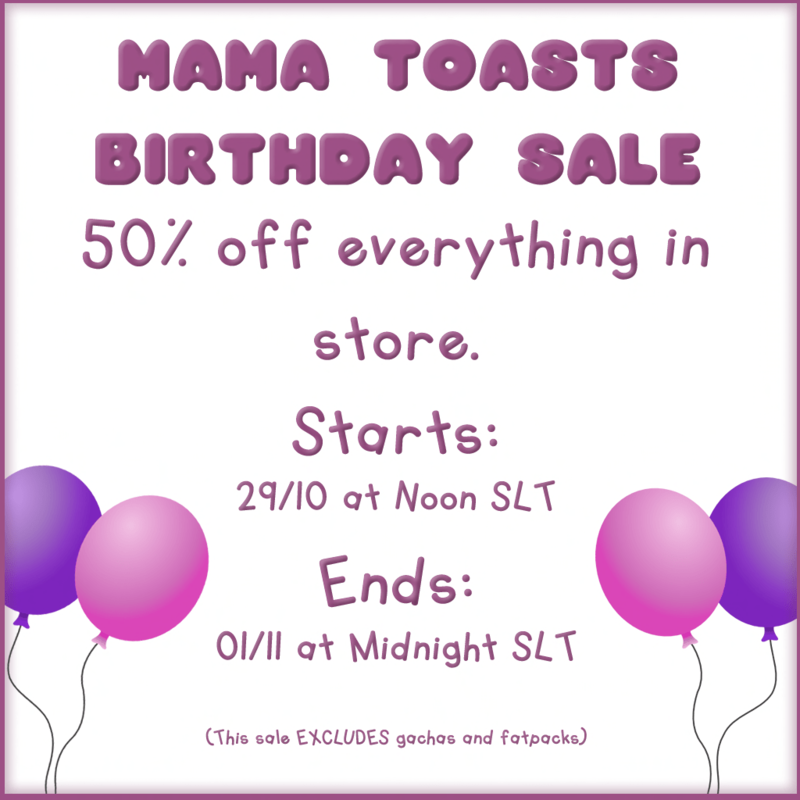 Quick Post: $25L Special from Apple May Designs! Hi! Just doing a quickie post to show you this weeks $25L outfit from Apple May Designs! The top, collar and skirt are all marked down to $25L until October 18th!! Another QUICKIE candy fair post! First I just want to say that I was going to do another giveaway this month but I’m not sure I will have the time! I am in the middle of planning two Halloween parties and I still have a lot of things I want to blog.. plus RL ewww!! So I’m thinking I will do a giveaway in Nov or maybe just wait and do a HUGE one in Dec with 1st, 2nd and 3rd prizes. Keep an eye out for details. And now about the candylicious goodness… I adored the skins from Essences, as always, there are several sweet colored brows to choose from. The spin spin sugar (love that song) pumps from lassitude & ennui were also very cutes. Check out details below!! poses by elephante poses – ember. No amount of caffeine will make me WAKE THE EFF UP today! Whyyyyyyyyyy! Here is my second post of Candy Fair goodies. The fair opened today so be sure and visit! I’ve still got a lot of things to blog from the fair, and a lot more things to grab on my next trip there, too! ps. I totally took a nap in the middle of making this post. Shh. Candy Fair is one of my favorite events because I love incorporating food themes into my SL style. This years fair opens on Fri October 3rd and is sprawled across two sims and contains two gacha gardens! There are some outstanding hairs and shoes and outfits and poses and um… ALL THE THINGS. In this post I’ll be showcasing some of my favorite hairs from the fair as well as some adorableness from Moon Amore! The Macaroon hair comes with a color change HUD that allows you to change the color of both the hair accessories (bow/headband and macaroons! You can wear the Sugar Coated hair with or without the candies, and they also come with a color change HUD. This Pritty hair comes with optional gumballs to wear with your pigtails. Buttery Toast has made some squeee-NOMinal headbands! You can customize the color of the heart & Candy on each band as well as turn the headband on or off, and you have Donut, Pocky, Lollipop and Sweeties to choose from. skin & lipstick: ANGELICA – MingMing *new* at The Candy Fair! top: MoonAmore – Simple Shirt (Kuki Edition) *new* at The Candy Fair! 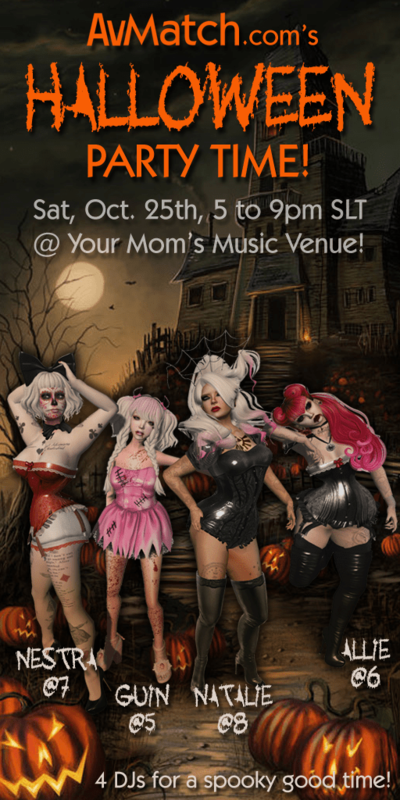 romper: MoonAmore – Kuki Romper *new* at The Candy Fair! pose by infiniti – basic girl pose.